Situated in Stafford, this hotel is 2.9 mi (4.6 km) from Chillington Hall and within 6 mi (10 km) of Boscobel House and Moseley Old Hall. Wolverhampton Race Course and Molineux Stadium are also within 9 mi (15 km). How Much is a Hotel Room in Brewood? Hotels in Brewood start at $32 per night. Prices and availability subject to change. Additional terms may apply. Within a 6-mile (10-kilometer) radius of the middle of Brewood, through Travelocity's booking page you can choose from a limited, yet excellent mix of places to rest your head. Brewood has 8 hotels and apartments, all just a short drive from the center of town. The The Lion Hotel is a much sought-after Travelocity-listed hotel selection due to the fact that it is located so conveniently to Brewood. 17 miles (28 kilometers) away from the town center of Brewood, you can find the ibis Styles Birmingham Hagley Road (Opening November 2016). 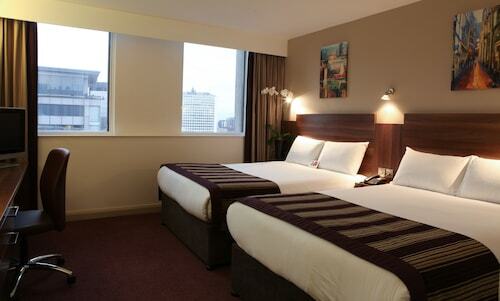 The SACO Birmingham - Brindleyplace can be found 18 miles (29 kilometers) away. 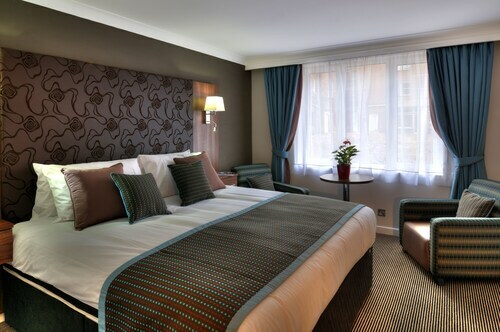 You might like to book a bed at the Hundred House Hotel or the Birmingham Marriott Hotel. Situated 20 miles (35 kilometers) north of Brewood is Burton on Trent, where you can spend the day at the Staffordshire University. 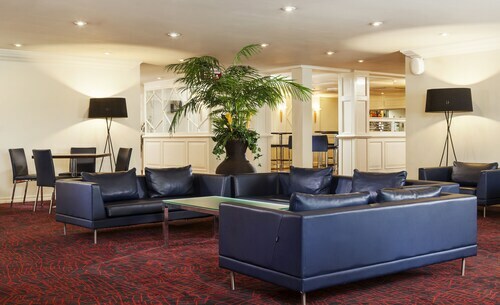 Newcastle-Under-Lyme is home to many great Travelocity-registered hotels to spend the night. Or, you might like to check out Burton on Trent, 20 miles (34 kilometers) northeast of Brewood. During your time in Burton on Trent, why not visit the National Brewery Centre. 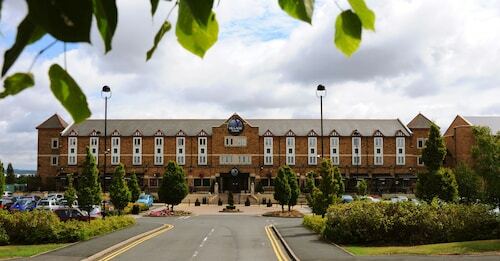 The Hilton Burton St Georges Park and The 3 Horseshoes are great choices for places to lay your head. Consider spending an afternoon enjoying the spectacle with fellow sports enthusiasts at a community sporting fixture. Old Trafford is located 55 miles (87 kilometers) to the north of Brewood. 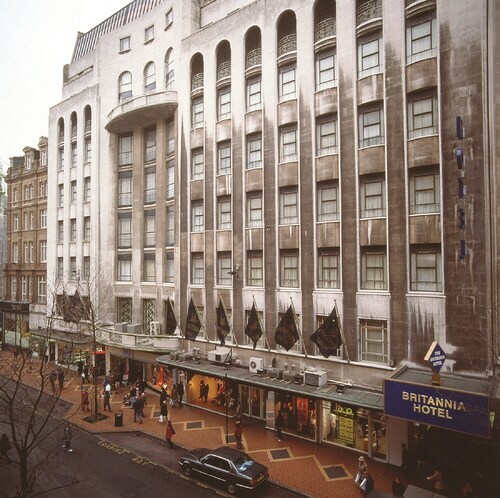 Those that would like to find hotels in the area around the game should check out the Dreamhouse Manchester Bloom Street or the The Lowry Hotel. 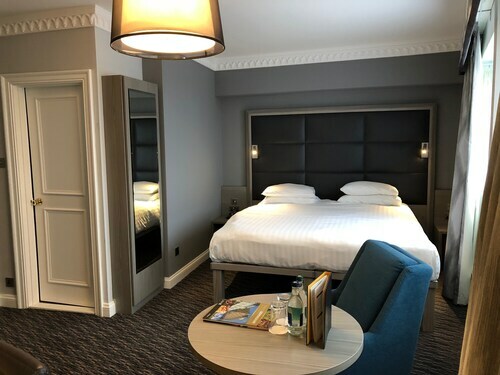 If you are planning on flying via Birmingham Airport, you might like to book Travelocity-listed rooms at Novotel Birmingham Airport, or Holiday Inn Birmingham Airport, which are both located a short trip away. Perfect location, very friendly staff, yummy breakfast.